Disclaimer: Nature’s Sleep provided me with the memory foam mattress to try out and give my honest opinion. All opinions are my own. Studies show that getting the right amount of sleep not only helps you “check your eyes for light leaks”, but also has a direct impact on your health, weight, and overall well being. Not only does sleep affect whether your brain is functioning properly, but the chronic lack of sleep, or sleep deficiency, can increase risks of heart diseases and diabetes. The lack of sleep can also affect the hormones that control your appetite as well as your immune system. Sleep is important, which means investing in the right products that can help you get a good night’s sleep is really an investment in your own health. Gil and I had heard about the benefits of a memory foam mattress before. They’re supposed to last longer, prevent you from overheating and provide just the right amount of support as you sleep. We put all of these to the test with the Nature’s Sleep Tobago Memory Foam Mattress we received earlier this year. Let’s start at the beginning with this video. If you sleep hot, you’ll also appreciate that the Nature’s Sleep mattresses don’t trap heat the way other mattress can. Nature’s Sleep mattresses are made of Advanced Visco Technology, which allows air to pass through the mattress. Shop Nature’s Sleep and Save! One of my favorite things about Nature’s Sleep, besides the quality and comfort of their memory foam, is their great prices. 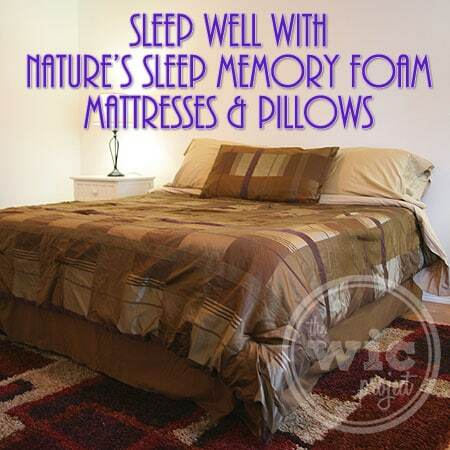 Not only are the mattresses and pillows priced affordably for their quality (about half the price of another popular memory foam company), but they often have great promotions and sales so you can save big on the Nature’s Sleep Memory Foam products. Right now through December 16th, you can save 51% off everything at Nature’s Sleep PLUS get free shipping when you use code HOLIDAYCHEER. That’s more than half off their memory foam mattresses, pillows, slippers, and more. 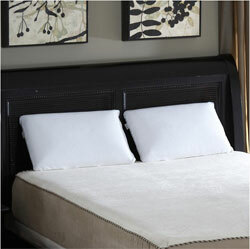 Head over to Nature’s Sleep to see what memory foam deals you can get! A few years ago I received a pair of Nature’s Sleep memory foam slippers and I still love them. If the mattress and pillows can make the rest of me feel as good as my feet, I would love to upgrade from my current mattress and pillows. That is very impressive! Very Nice Post. what a great use for such a lovely sleepwell mattress.